Preheat oven to 350degree. Spray a 13x9 inch baking pan with nonstick baking spray with flour. In a large bowl, beat butter, sugar, and extract at medium speed with a mixer until fluffy. Add eggs, one at a time, beating well after each addition. In a medium bowl, combine strawberry puree and milk. 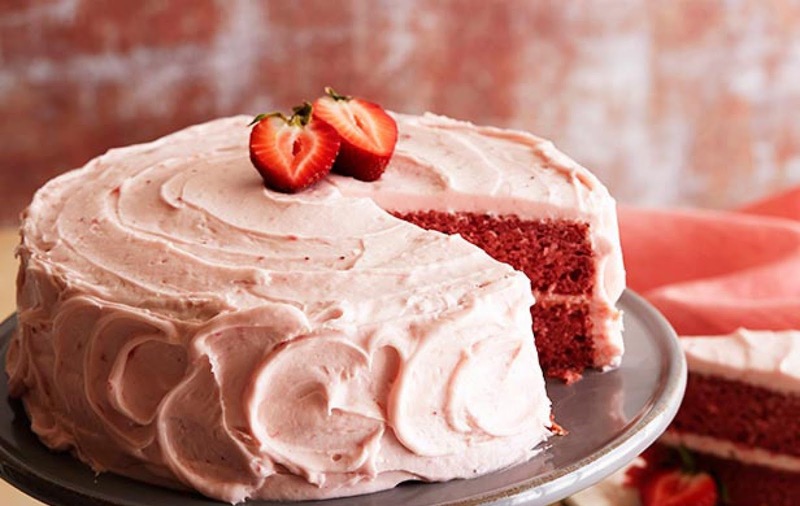 Gradually add flour mixture to butter mixture alternately with strawberry mixture, beginning and ending with flour mixture and beating just until combined after each addition. Pour batter into prepared pan. Bake for 25 to 35 minutes or until a wooden pick inserted in center comes out clean. Let cake cool completely in pan on wire rack. 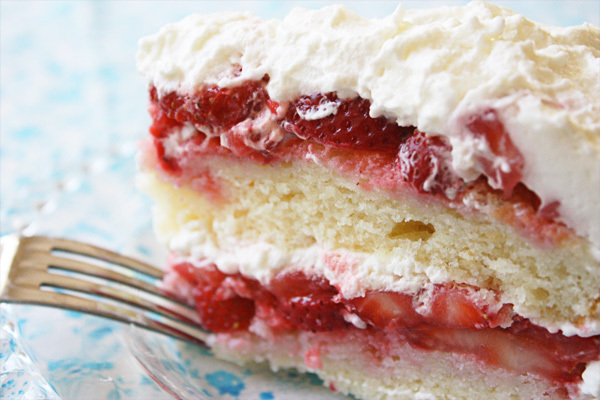 Spread strawberry cream cheese frosting on top of cake. Garnish with strawberries, if desired. Store covered, in refrigerator up to 3 days. In a large bowl, beat butter and cream cheese at medium speed with a mixer until creamy. Add strawberry puree, beating until combine. Gradually beat in confectioners’ sugar until smooth. End.